Don’t we all desire more joy and meaning in our life? Yes, of course! However, as we know, life happens. After collectively experiencing seven out of the top ten most stressful life experiences, it became clear to Colleen and Deb that resiliency is born through the three interrelated traits of Grit, Grace, and Gratitude. In this workbook, you will be immersed in thoughtful prompts, a multitude of insights and plenty of fun exercises as you journal your way to learning how grit, grace and gratitude can allow you to live a deeper, more meaning-filled life of presence through understanding yourself from new perspectives. You will reconnect with the strengths already existing within you with this workbook as your guide. Pick a focus a month or journal away all weekend, go solo or grab a friend and uncover your inner strengths. 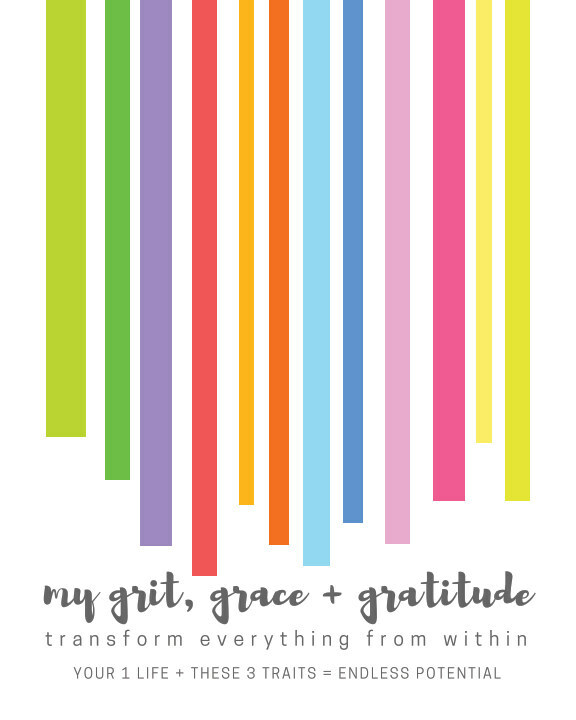 Whichever way you choose to use this book, the next time life tosses you a challenge you'll be saying, "Kiss my grit because I am fearlessly grace-filled and powered by gratitude."